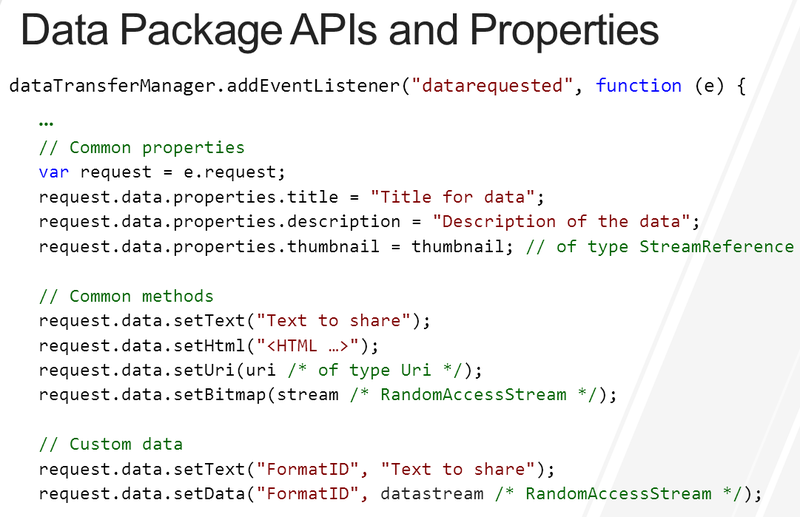 A Study of Windows 8 'Contracts' – why, what and how? 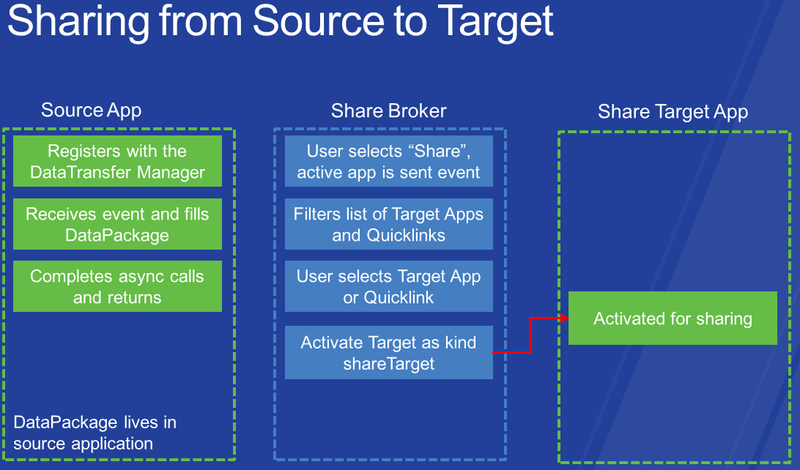 architectures and fully utilize the advantages of cloud to personalize usage. boot and run Windows on any Windows 7 or Windows 8 capable computer. intuitive interaction and navigation with (multi-)touch, or a mouse and keyboard. the applications (developed by distinct unknown developers) talk to each other. windows 8 Metro style UI and what are the new features and responsibilities it’s going to provide for a developer. owning the screen at a time is necessary. So what are “Contracts” all about? know much about each other in order to create amazing experiences! 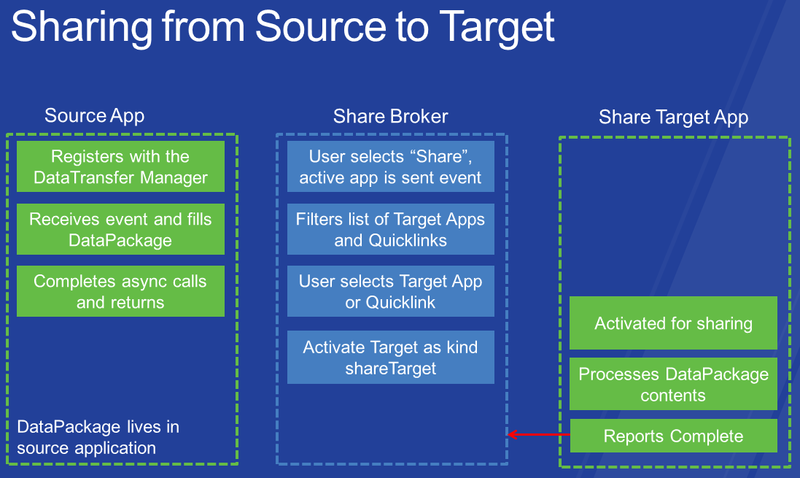 source apps as ‘share source apps’ and target apps as ‘share target apps’. with content that matters to users. depicted in terms of pictures as follows. to the event by starting filling the datapackage. 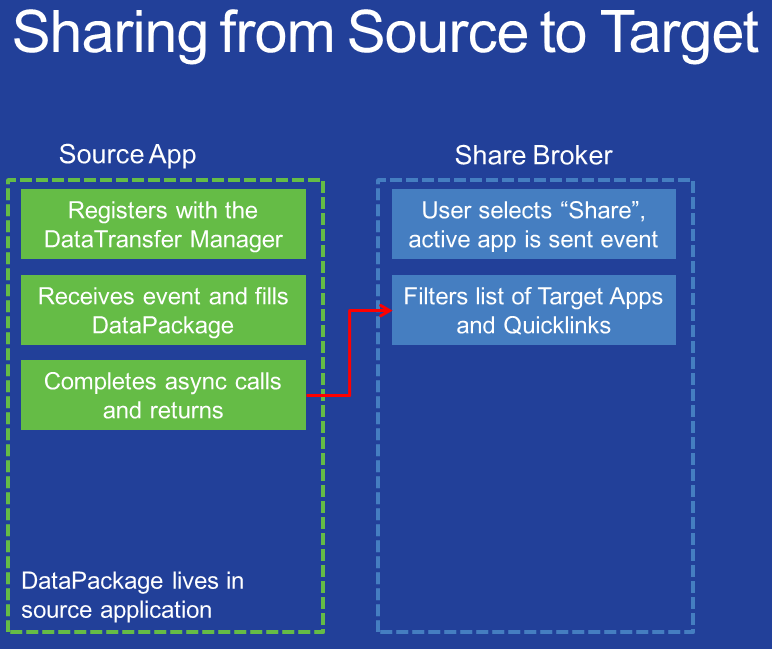 The source app completes filling the datapackage and completes all its async operations before responding to share broker with datapackage. 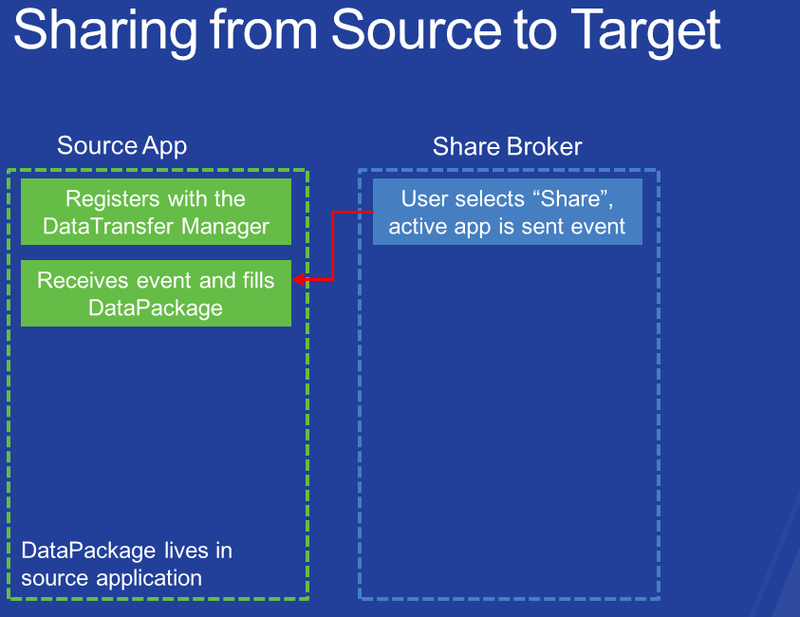 The share broker does an additional step of filtering the data received from source app and model it as links as per user’s criteria. result it received on its user interface. Entertainment, Print service, Device connected, Note taking, Cloud storage, etc. The above article is not the exact implementation of contracts since the concepts itself is new, but will provide an overview of what are contracts and how are we going to deal with them in coming days. 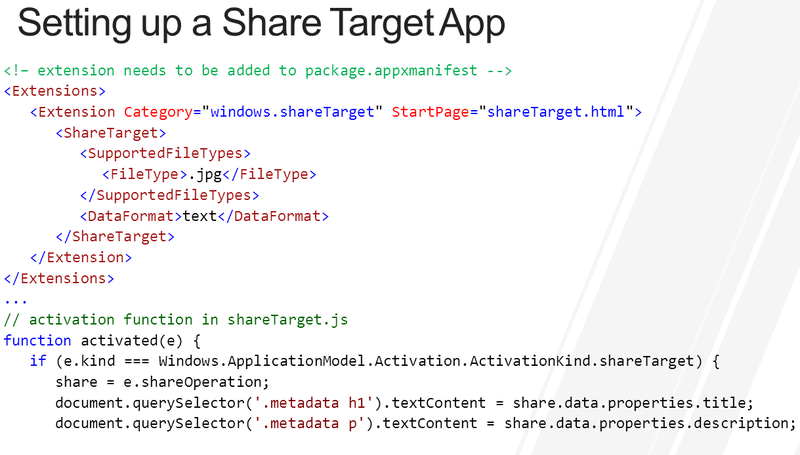 The pseudo code is not the part of exact implementation, but are a snapshots of the picture we are going to see when we develop applications in metro-world.